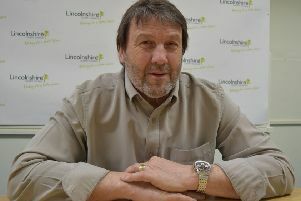 East Lindsey District Council’s budget, which includes a 3.62% increase in its part of the tax bill, is set to come under scrutiny. The authority’s audit committee will examine its finances including its 2019/20 budget and five year strategy next Wednesday (January 30). A foreword by the executive councillor for finance Richard Fry says: “The council’s budget this year remains focused on the commitment made in 2016/17 to ensure it was financially able to deliver the services it has to by law, provide support to the district’s most vulnerable residents and focus the remaining available resources on growing the economy of the area. The District Council, which says it continues to be faced with “significant final challenges”, equates the increase to £4.95 a year for average ‘Band D’ homes – around 9.5p a week. The authority’s budget estimates this could bring in more than £6 million. The council said it needs to make around £3.7 million of savings by 2023, however, that could rise by an additional £1.3 million due to a drop in the amount it retains in business rates. It says its Transformation Programme has so far delivered almost 89% of the savings required. The budget also looks at creating additional income from commercial activities, further capital investment in its assets and protecting against the business rates changes.